I have to admit that I have something of a love/hate relationship with the folks at Games Workshop. I have many fond memories from my high school years of late night in my friend Jordan’s garage as we whispered arguments over rulebooks as arcane as some tome of eldritch secrets. The rules frequently contradicted themselves, even in the same book. It was incredibly frustrating, and yet, we loved the games. Warhammer 40,000, Warhammer Fantasy Battles, Battlefleet Gothic, Bloodbowl, Titan Legions, and of course, Space Hulk. Most of these games we played using plastic or pewter miniatures on carefully handcrafted terrain boards of wood and foam, in our imaginations converted into battle ravaged landscapes. Derelict vehicles and crumbled buildings were prime sources of cover as we marched our troops strategically to victory. So, it’s a refreshing change to sit down for a round of Space Hulk: Tactics and to feel like I’m looking at a true digital representation of one of my favorites of the Dark Millenium offerings. The original Space Hulk was played using cardboard tiles that represented corridors and rooms, with standing cutouts as doors and other terrain objects. There were two sides of the conflicts in Space Hulk: The Space Marines and the Tyranids. The models you received came in grey-scale, so you could paint them to represent whatever hive (Tyranids) or chapter (Space Marines) you wanted. 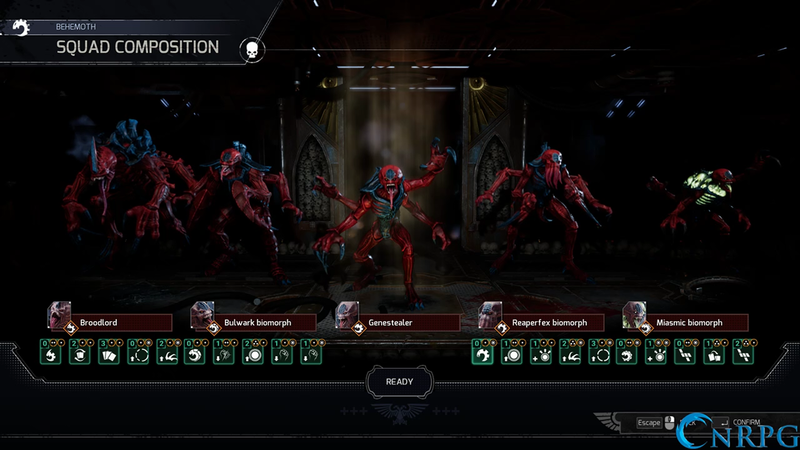 While Space Hulk: Tactics doesn’t quite give you that level of freedom, there are four chapters and four hives from which you can choose, though not for the main campaign. For that you are either the Blood Angels, or the Genestealers, and the campaign is unique for each. In all truth, playing the Genestealers is really an entirely different experience from playing the Space Marines, for the simple fact that each side’s deployment, tactics, and strengths, are very different. As the Space Marines, you take the role of the elite terminator squadron of the chapter. All Space Marines wear a suit of powered armor, but the terminator armor is to normal powered armor what a tank is to a pickup truck. It’s slow and cumbersome and made to take a missile to the face if the need arises. Which, in the dark future, is pretty often. Terminator armor is piloted by elite veterans of the Space Marines and are held with nearly spiritual reverence by their brethren. Each squad is allowed a number of special units, as well. The Sergeant, the Apothecary, and the Librarian (Or Rune Priest in the case of the feral Space Wolf chapter.) Each of these units gains special command cards that can be used during the course of battle. Cards are drawn at the beginning of each turn. They might be used, at the cost of Command Points, to give a soldier an advantage in combat, or they can be swapped out for squad Action Points. During the normal course of play, each terminator has four action points each. These are used to move, turn, open doors, fire weapons, and go on overwatch. Overwatch allows you to take shots on the opponent’s turn, if the opponent moves through your field of influence – a vital defensive tactic for the Space Marines. Squad Action Points can be used by any squad member for any regular action. Quite useful if one or more soldiers is just shy of moving to a vital position, or doesn’t have quite enough points to activate overwatch. Now, the Tyranids, as I said, play quite differently. The Space Marines have five set positions in which to place their five terminators, and must then proceed from those spaces to their objectives. The Tyranids have a variety of places on each map where they may place blips. Blips represent a movement ping on a scanner used by the Space Marines, but the quantity of genestealers within that zone of movement is a mystery. In fact, it can be between zero and three enemy units. The enemy won’t know until either you spend an action to reveal the blip, or the blip is placed in the line of sight of a terminator unit. Oh, and also: unlike the Space Marines, there’s no limit to how many blips can be played in most missions. The genestealers numbers are legion, much like the Zerg in Starcraft, or the (likely) inspiration for both, something out of a Heinlein novel. Additionally, the objective for Space Marines is often to reach a certain location, or activate a certain device. For the Tyranids the objective is typically merely to kill. 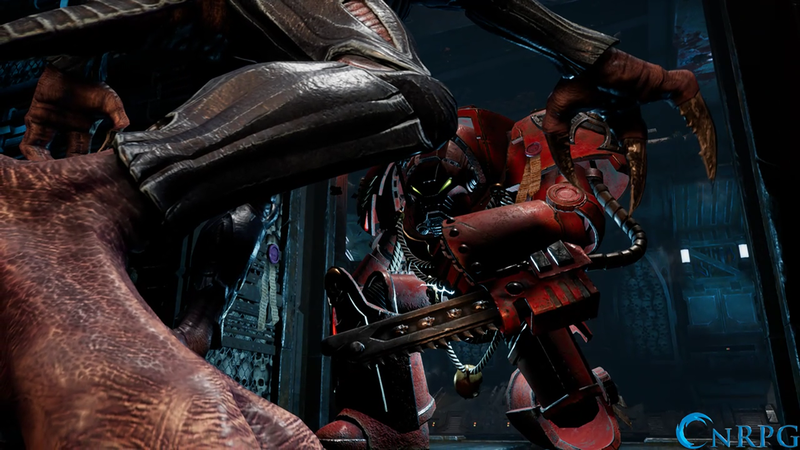 There is more to Space Hulk: Tactics than the campaign however. It can also be played multiplayer in online skirmish OR ranked matches. Oddly I couldn’t access the Leaderboards. I’m not sure if this is because they haven’t uploaded properly yet due to the newness of the game, or perhaps because I haven’t participated in any ranked matches as yet. Or, maybe they’re just broken. I wasn’t able to find any information about this on their website, unfortunately. 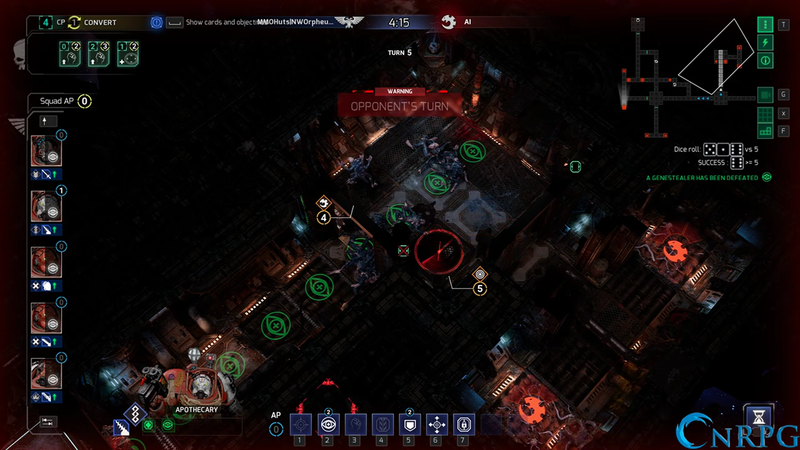 A last very nice feature of Space Hulk: Tactics is that there’s actually a mission creator. 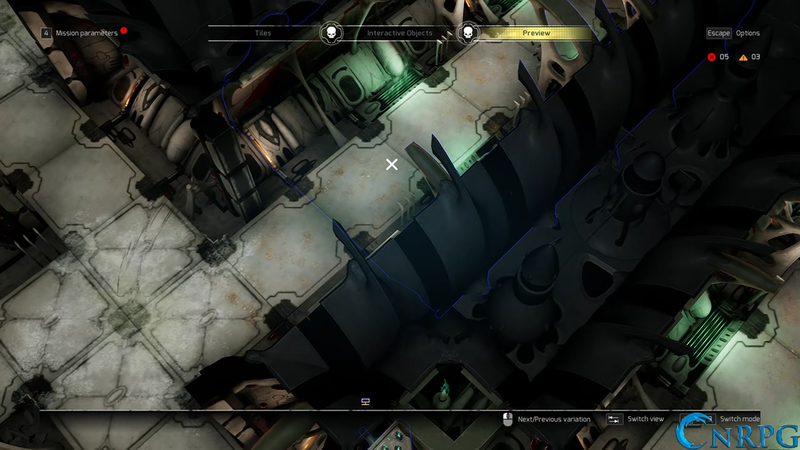 Any given player may create a map and upload it to the game, where it will then be accessible to any and all players. You can even make any given map take on the terrain of either the Imperial Army (allies to the Space Marines, though at times terse ones), the Ork battleships, or an Eldar vessel. Eldar are like space elves, and don’t appear in this game. Don’t worry too much about them if you’re not familiar with the lore. Suffice to say, they have space ships. So now that I’ve dumped all the info, what do I actually think about Space Hulk: Tactics? I think it does the job of representing the tabletop game better than most Games Workshop offerings. I will say that this is commonly true of other Space Hulk titles, of which there have been many, but this one is the first that feels truly like playing the board game against a friend, just as it was in highschool. The strategies required to win are intricate, and the graphics are great. I truly feel on the edge of my seat at times as I pray that my bolter doesn’t jam as the genestealer horde climbs over itself in order to sink claws deep into the armor of my marines. In other words, it’s good. It’s not original, but that’s not bad. It does what it’s supposed to and plays like the classic game. Note: A game key was provided for review purposes.